The Kakadu Plum has been identified as one of the food sources with the highest vitamin C content on the planet and is a powerful antioxidant to boost immunity and increase energy levels. The Kakadu Plum, also called the Gubinge, Billygoat Plum or Murunga grows natively across the Top End of Northern Australia. The fruit has been a traditional source of food and has been used as an antiseptic and a healing remedy for the Indigenous people across Arnhem Land for thousands of years. The Kakadu Plum has been identified world wide as one of the food sources with the highest vitamin C content on the planet. The Kakadu Plum contains 3000mg of vitamin C per 100g of fruit which is over 50 times the concentration found in oranges. 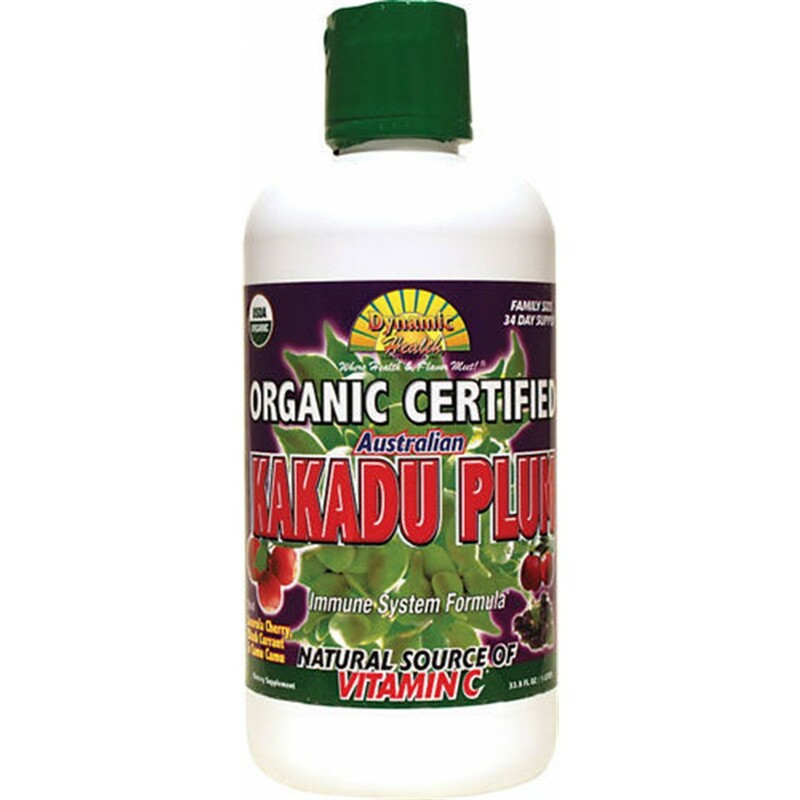 The Kakadu Plum contains phytochemicals such as gallic and ellagic acids. Gallic acid has antibacterial, antiviral and antifungal properties, aswell as anti-inﬂammatory, anti-tumour, anti-mutagenic and anti- bronchodilatory properties . Ellagic acid has anti-carcinogenic effects against a wide range of carcinogens in many human tissues. Kakadu Plum is particularly beneficial in boosting the immune system and promoting healthy living. Take 30ml daily on an empty stomach. Keep product refrigerated once opened.